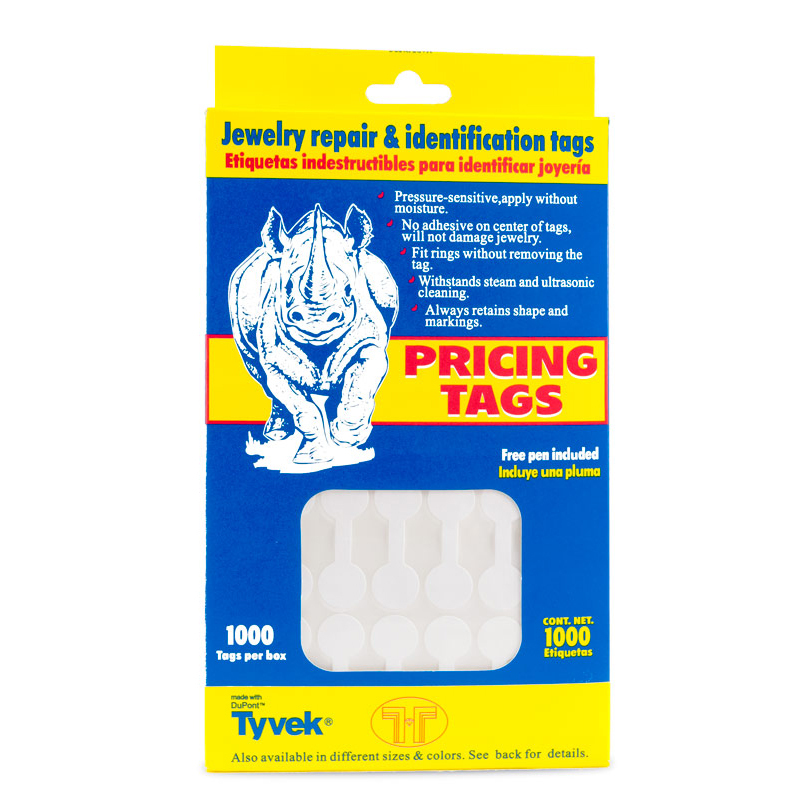 These extremely durable DUPONT TYVEK® white color barbell shape jewelry price tags are made especially for the jewelry industry. 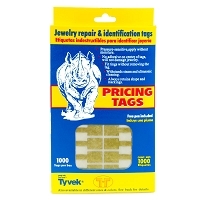 Round Barbell Shape Jewelry Price Stickers. Tear resistant, always retain shape. No adhesive in center of tag. Can be used with steamer or in ultrasonic. 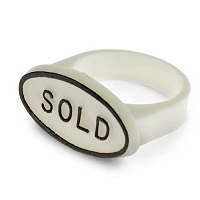 Rings can be sized without removing tag. 12mm diameter (~1/2 inch). 35mm Long. 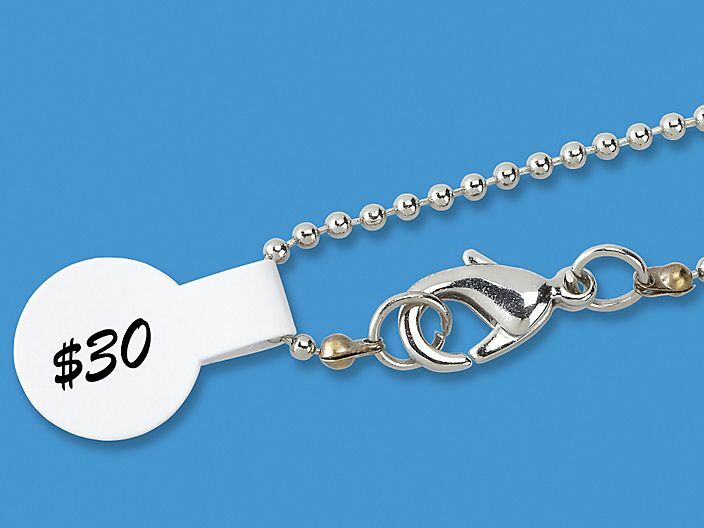 Now you can neatly and professionally put prices on your Jewelry creations. Fold around jewelry or ring shank. The thin strip that wraps around your jewelry has NO adhesive, but the circles do, and they stick to each other permanently. Round areas are for stock numbers or price. 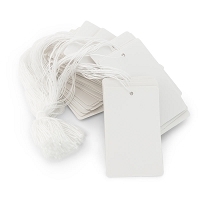 These barbell tags are a solid value. Great labels, tried generic and off brands and they do not even stick to each other! What a waste of money, so cheaper is not the same! 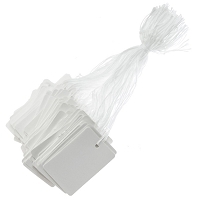 Get these, you cannot rip them off, have to cut these off which is perfect for selling items!